Telco reveals plans to acquire 100 per cent of TeamTalk shares at a price of NZ$0.80 per share. 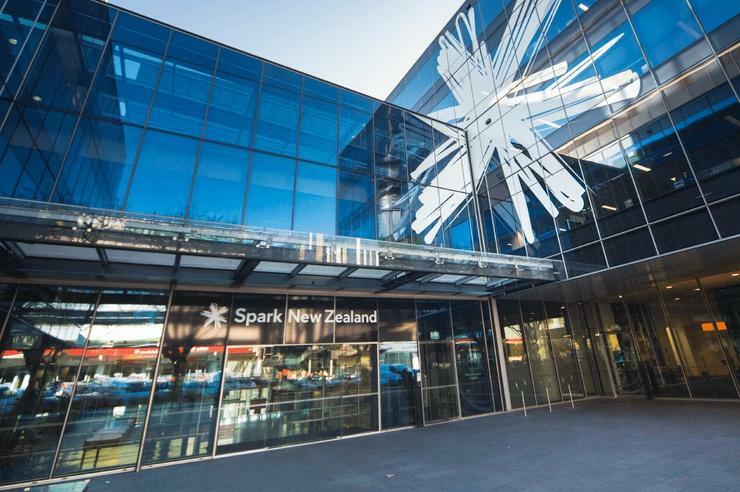 Spark New Zealand has confirmed plans to make a formal offer to TeamTalk shareholders, over a month after first revealing its intention to take control of the struggling telco. Specifically, the offer will see Spark attempt to acquire 100 per cent of TeamTalk shares at a price of $0.80 per share ($22.7 million). "We strongly believe this offer is in the best interests of TeamTalk shareholders, many of whom have seen the value of their investment in TeamTalk relentlessly decline over recent years,” Spark Chief Financial Officer, David Chalmers, said. “This offer allows TeamTalk shareholders to achieve a price for their shares that is 78 per cent higher than the last closing price before Spark issued its Notice of Intention, and an 82 per cent premium on a three-month volume weighted average price basis. The official move follows news that TeamTalk directors recommended that shareholders do not sell shares or enter into a commitment to accept any proposed offer from Spark. As reported by Reseller News, TeamTalk Chairman, Roger Sowry, said the preliminary view was that the proposal did not include "significant synergy benefits" if Spark were to acquire control of TeamTalk, while also not representing "fair value for our shareholders". “So we are somewhat surprised that, given extensive efforts to engage in good faith with the TeamTalk Board, they have been dismissive of Spark’s interest and the opportunity to unlock value for their shareholders,” Chalmers added. The TeamTalk Board has suggested there may be significant value in the business above Spark’s offer price, based on the promise of a new strategic business plan. “We have yet to see any concrete evidence of such a plan, or receive a summary or copy of it from the TeamTalk Board,” Chalmers added. “We also note no other proposals for a partial or full sale of TeamTalk have been put to shareholders at any time in the nine months Spark has been attempting to engage with TeamTalk, and there is no sign that any such offers will eventuate. The New Zealand telecommunications market continues to change rapidly, and as a result, Chalmers said TeamTalk faces “many headwinds”. In particular, the UFB network has created pressure for the owners of competing fibre, including CityLink, which also needs to invest significant sums to underground portions of its Wellington fibre due to the retirement of the trolley-bus network. “Farmside is competing in an intensely competitive broadband market, and the extension of rural communication networks has reduced the market for niche satellite services," Chalmers added. "The increasing coverage and performance of mobile networks is also challenging the role of mobile radio networks, a core element of TeamTalk’s business." For TeamTalk, Chalmers said the cumulative impact of these challenges has resulted in a series of earnings downgrades as margins have come under increasing pressure, as highlighted in TeamTalk’s first half result for FY17. Despite attempts to characterise the result as pleasing, revenue and underlying net profits before tax were down on the first half result for FY16. According to Chalmers, the TeamTalk Board has also indicated the need to fund significant capital requirements across the business in the coming years at a time when the company’s debt facilities are being reduced. "With all these factors in mind, we simply do not believe TeamTalk can deliver a better outcome for its shareholders than Spark’s offer," Chalmers added. TeamTalk recommended shareholders take no action in respect of the offer from until they receive TeamTalk’s target company statement. The directors remain firmly of the view that the offer is inadequate and significantly below fair value. "We provided Spark with confidential and sensitive due diligence information to assist them to increase their offer significantly above $22.7 million for all the shares of TeamTalk," TeamTalk Chairman, Roger Sowry, said. "We also updated the market with profit guidance to 30 June 2018 last week as part of our interim results and turnaround plan update. "Spark appears to have ignored the information we have made available. Their tactics continue to be predatory and highly opportunistic." Additional reporting by Rob O'Neill.